1. The TFI Fellowships are extremely selective (2013 acceptance rates were close to 7%) – much more than most MBA programs are. You are NOT doing a favor to a volunteer-strapped organization waiting for more hands on deck. You are instead applying for a path-breaking volunteer program which will require two years of your life, present unique and daunting challenges, and create serious impact if you succeed (or fail!). Approach applying for TFI with the seriousness and commitment that it deserves. 2. That said, if you are able to successfully complete your fellowship, you will have that differentiation you were looking for. However, is this the best way to go about your career? Clearly, you are not interested in non-profits or education, so why not consider spending this time gaining skills that you really need? As we have noted above, a TFI Fellowship is challenging – don’t get into it just for the MBA. You will not be able to survive the two years without the commitment you need. With that done, lets look at the landscape for the MBA after Teach for India. 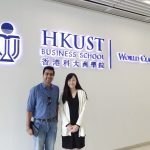 Teach for India alumni – do you really need an MBA? Sometimes, this can be a tricky question to answer, so lets look at the facts. Sometimes, TFI alumni complete their fellowships and feel that they would like to get back into a full-time corporate / business career. In many cases, getting that role is possible without an MBA at all. TFI is an organization that has top alumni from top schools across India and the world – Harvard, Columbia, Oxford, IIT, IIM, and ISB. Sometimes, these relationships are good to get you a look-in at top firms like Microsoft and McKinsey. We have seen quite a few TFI fellows go directly to roles at these firms after TFI, as the skills picked up during TFI are also highly valued by these firms. Non-profit management can be an exciting field to get into. Perhaps you would like to come back to TFI after an MBA and contribute as part of the management team. Or, perhaps you would like to contribute your skills and energies to a microfinance institution. Positions in global organizations like the World Health Organization (WHO), International Monetary Fund (IMF), or World Bank are also possibilities. In India, social organizations like Gates Foundation or Michael and Susan Dell Foundation are also doing great work, and can offer excellent careers in non-profit management at good salaries too. Perhaps you just want to move away to be a Strategy Consultant and grow in that area. Or maybe you have always wanted to be a Marketer and stopped by at TFI to do your bit. An MBA can certainly help you to make that transition. An MBA is not the only graduate education you can get by far. You may, for instance, like to extend your experience in education by earning higher degrees (Master’s / PhD) in education, non-profit management, or social work. Perhaps your fellowship stoked the passion for public administration in you and you could then look at public policy master’s. Then again, perhaps you are keen to lend your intellectual muscle to independent think tanks / research bodies to help them do research on issues surrounding social growth and education in India. These are all possibilities, and they are every bit as worth it as the MBA is. Looking for more information or advice? 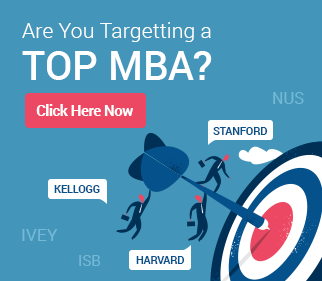 If you do decide to go down the MBA route, be aware that you will receive wide approval from most MBA programs for the work you have done at TFI. However, some schools are more inclined to offer you an MBA education with a focus on non-profit management. In the US, some of these programs are Yale, Stanford, Tuck, Columbia, and Duke Fuqua. If you wish to stay in India, ISB is a good option to look at. No matter what your career goals, your TFI fellowship has enriched you for life. Perhaps an MBA (or something else) will do that going forward. Having a clear strategy and a good understanding of the landscape of opportunities is important for success. Contact us today if you are a Teach for India Fellow looking to apply to MBA / Master’s / PhD programs. We can help you get there successfully leveraging our deep expertise and experience in helping other people with a similar background. 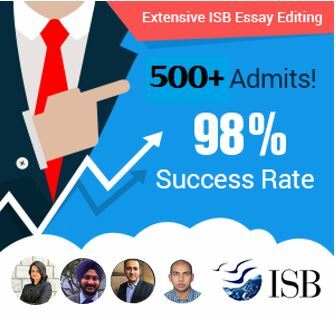 MBA Essay Samples : Beware of Using Them!